In a news conference at Frederick Douglass High School in Lexington yesterday, Kentucky Education Commissioner Wayne Lewis announced proposed revisions to minimum high school graduation requirements, in response to input received from educators and other education stakeholders. Fort Thomas Independent Schools Superintendent, Dr. Karen Cheser, provided feedback to the Departments during the process, most recently at a public hearing in Frankfort last Thursday. 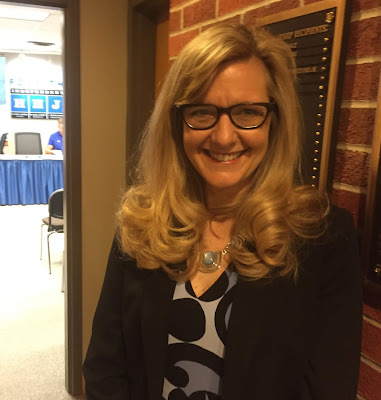 "Our voices on the graduation requirements made a difference," said Dr. Cheser. The Portrait of a Graduate skills displayed at Central Office. 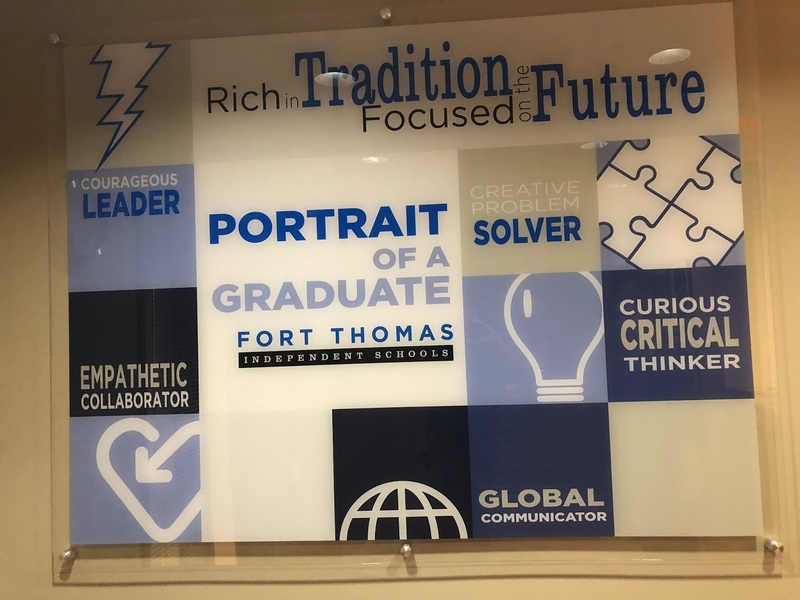 These skills were curated after months of input from Fort Thomas Independent Schools District employees, staff and administration, as well as input from the business community. a. The minimum criteria shall include earning a KDE-approved scale score in the apprentice student performance level of the state-required assessments approved by the Kentucky Board of Education as passing. b. Students who do not meet the minimum criteria on one or both assessments may retake the reading and/or mathematics assessments twice annually in the eleventh and twelfth grades of high school enrollment. o The student’s post-graduation plans. The process shall require the principal to submit the collection of student evidence to the superintendent or designee for review and approval, or for public charter schools principals to submit the collection of student evidence to the Commissioner of Education or designee. The Departments said that they believe the Transition Readiness component would have put an undue burden on smaller or financially strapped districts by having to provide additional courses to students. or alternative requirements as prescribed in a student’s IEP. The Department said they believe these qualifiers are more representative of the varying availability of courses students currently have access to, thus creating more equitable requirements. Commissioner Lewis will present the revised proposal to the Kentucky Board of Education at its meeting Dec. 5 at the Kentucky Department of Education in Frankfort.